How can you take control of your page? 3. 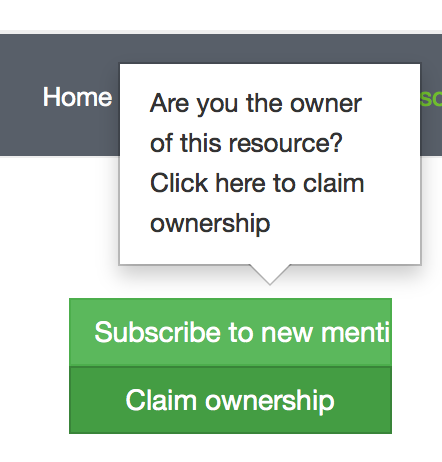 Search for your tool, and click the Claim Ownership button (middle right). You will be granted additional privileges to edit the resource. Note each synonym and old or additional URL will improve our ability to search for your tool. 4. When authenticated, you should be able to download and upload all mentions. 5. To verify that a paper does indeed talk about your tool or to add new papers discussing your tool either add a single paper by adding the PMID:#### or download the csv file with all papers.